The high output BarFly 200D equals the light output as a 500 Watt tungsten softlight drawing only 160 watts of power. 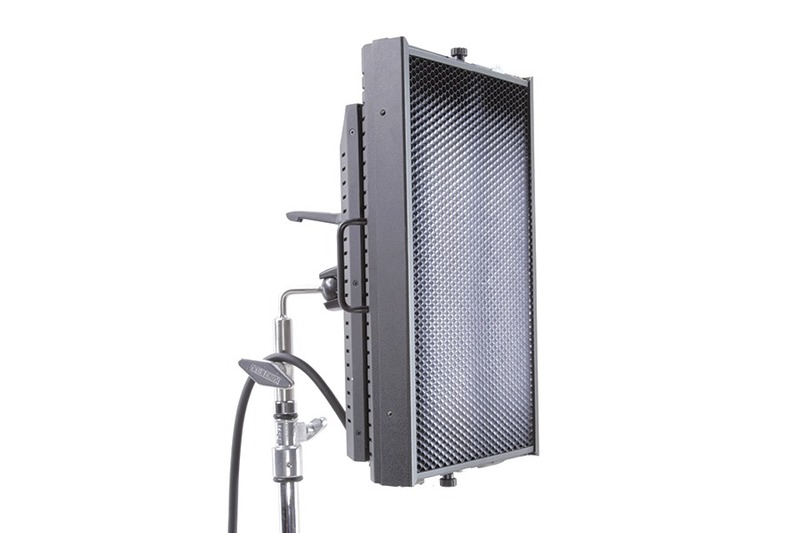 The all-in-one BarFly 200D fixture are part of a family of thin profile lighting systems that display soft, cool beauty light for HD and film productions. The lightweight BarFly features a built-in ballast with onboard dimming and individual lamp switching. The BarFly 200D fixture also includes remote dimming capability and universal input voltage of 100VAC-240VAC for usage anywhere in the world. The BarFly is most at home on location and studio sets for television and feature film production, but many in the electronic field production and ENG community have discovered it for a small, two point or three point lighting kit to complement such popular location lighting instruments as the Kino Flo Diva-Lites. The BarFly out-performs tungsten lighting instruments when it comes to energy efficiency. In other words, the BarFly uses less power to produce the same amount of soft light as incandescents. The high output BarFly 200D equals the light output as a 500 Watt tungsten softlight drawing only 160 watts of power. The fixture also works reliably under most normal conditions, but it’s also trustworthy in more harsh conditions, such as extreme cold. The BarFly series are designed to operate at temperatures from -10C to +50C (14F to 122F). The BarFly’s compact all-in-one design and energy efficient electronics combined with Kino Flo’s True Match® Quad lamp technology (CRI 95) makes the BarFly a popular choice when it comes to versatility and portability.